Height : 6'4" (according to the police records in "The Benders"). Jensen Ackles is actually 6'1". Dean Winchester is the first born son of Mary and John Winchester (both now deceased). Born on 24th January 1979, his life was relatively uneventful until the birth of his younger brother, Sam, 4 years later. Although, from a child’s perspective, this is one of the biggest things that could have happened to him, things remained largely the same until the night Sam turned six months old. Visited by the demon Azazel as one of his “chosen children”, Sam’s room became the epicenter of a fire that destroyed the house and killed Mary Winchester. Three year old Dean carried his baby brother outside to safety as John attempted to save his beloved wife. It was, perhaps, this moment that secured Dean’s role as Sam’s protector. With a life turned upside down, John took his young sons on the road searching for answers. In a meeting with psychic Missouri Moseley, John discovered partial truths and began to wage a war against the supernatural forces of evil that would ultimately end in his death. Despite being constantly on the road, Dean continued his position as protector of Sam, and took on the additional role as a soldier in his father’s battle. He was shooting bottles with John when he was only 6 or 7 (and getting bullseyes every time) and made his own sawed-off shotgun when he was in sixth grade. When he was about 11 years old, a near disastrous encounter with a Shtriga almost resulted in Sam’s death. Dean, who had been left to look after his brother while John was off hunting, had neglected his protection duties and was accused by his father of being irresponsible. Knowing how close he had come to letting Sam be killed, Dean immersed himself in training and hunting, vowing to protect Sam better from that point on. Part of his protection was to encourage Sam to believe that John was a normal father, hiding the supernatural hunting aspect of their lives for as long as possible. Even when John left the boys alone on Christmas Eve, Dean struggled to pretend that their lives were normal and to hide the truth from Sam. On Christmas Eve in 1991, John’s absence resulted in something seemingly minor, but that could have a profound effect in the future. Sam received an amulet from Bobby Singer, another hunter and family friend, and intended to give it to John as a Christmas present. With John absent, Sam chose instead to present the gift to his brother. This amulet, while appearing to be merely cosmetic in nature, is later revealed to have a much more important purpose. At school, when he went, he was seen as the mysterious newcomer, attracting some of the prettiest girls – something that would continue even as he outgrew school. When he was 16, he was hunting with John when he realised that he couldn't try and live a normal life anymore. Rather than attend college, Dean chose – or was obligated – to follow in John’s footsteps as a hunter. When Sam chose the opposite life and left home to go to Stanford University, Dean found himself torn between following to protect his baby brother, and staying behind to fight alongside his father. The bitter fight between father and son led to Dean having no contact with his brother for a couple of years. Instead, he threw himself into the fight with John, wishing at times that he had been strong enough to do the same as Sam. John’s disappearance in October 2005 led the brothers back together again. Now an experienced hunter in his own right, Dean led the hunt, all the time both re-training and protecting Sam. With few exceptions, his life as a hunter continued much as it always had: fighting creatures, protecting the innocent and getting laid. It probably wasn’t until Sam revealed his strange new abilities that Dean’s life began to change. For the first time, instead of protecting his brother, he found himself starting to fear him. And when John sacrificed his life for Dean, it started a spiral of self-sacrifice that would lead to not only the deaths of both Sam and Dean, but to the Apocalypse itself. The car accident that left Dean near death, forced John to do the only thing he could to save his son’s life. He offered himself as a sacrifice to the demon Azazel – the same demon that had killed his wife years earlier. With John trapped in Hell, Dean and Sam did everything they could to rescue their father. 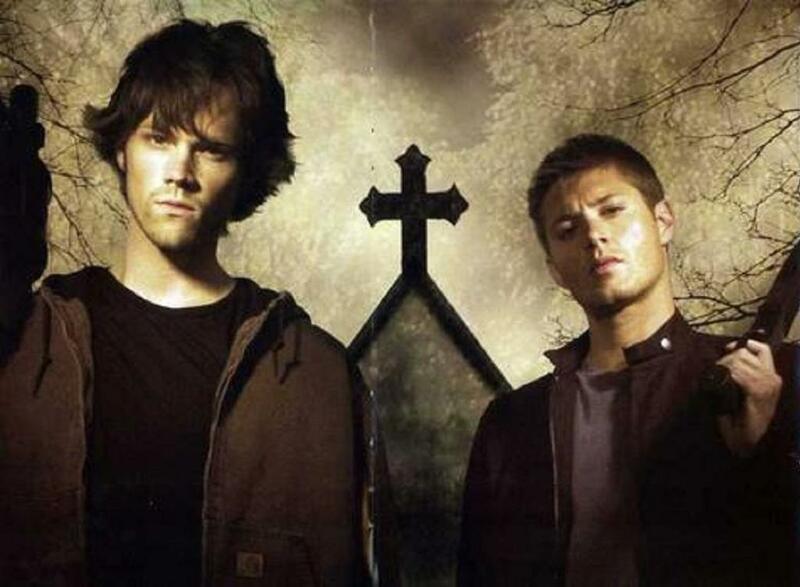 The result of this was Sam’s death and Dean’s offer to the Crossroads demon - in exchange for bringing Sam back to life, Dean would give himself up to Hell. With just a year left to live, Dean and Sam successfully released John’s soul from Hell, simultaneously starting a chain of events that no one could have predicted. Over the course of the next twelve months, Dean alternated between denial at his situation and acceptance of what was to come. It wasn’t until he was nearing the deadline that the reality of the situation seemed to hit him and he indicated how scared he actually was. His final moments were filled with terror as the Hell Hounds from his nightmares claimed him. Time in Hell passes differently to time on Earth and the 4 months that Dean spent there translated into 40 years for him. Years that were spent being tortured by Alistair, a demon who relishes his position in Hell. Each day, at the end of the torturing session, Alistair offered Dean a choice – continue the same way tomorrow, or step down and take his place at Alistair’s side. For 30 years, Dean refused the offer, determined to maintain his humanity, until one day he couldn’t take anymore. He stepped down and began torturing innocent souls in the same way he himself had been tortured for so long. What Dean didn’t know at the time was that the offer had more importance than just breaking his willpower. The moment that Dean took up the position of torturer, he caused the first of the 66 seals to be broken. These seals had been in place for millennia, preventing Lucifer himself from rising to power. Now, thanks to a “righteous man spilling blood in Hell”, Lucifer was a step closer to freedom. Originally, the righteous man was supposed to have been John Winchester, but, as Alistair revealed to Dean, John hadn’t given in. Knowing that he had failed where his father hadn’t, pained Dean more than the knowledge that he had broken the seal. Once the seal had been broken, the Angels stepped in. Castiel reached down into Hell and raised Dean out of there, fully healed – at least physically. When asked why, the Angels would only reveal to Dean that he was the only one who could stop the upcoming Apocalypse, although none would reveal exactly how, although Castiel dropped more than one hint about Dean having to stop Sam – at whatever cost. As Sam grew more distant, Dean and Bobby staged an intervention, determined to break him free of the demon blood that he had grown addicted to. But that failed, and Sam became more determined than ever to destroy Lilith – the demon he believed would be responsible for breaking the final seal. Too late, Dean realised that it wasn’t Lilith who would break the seal, it was Sam killing her that would. Dean could only look on as Sam, using the abilities that Azazel had manifested in him so many years ago, killed Lilith, spilling her blood and freeing Lucifer from his prison. Knowing that Sam had willingly drunk Ruby’s blood in order to become so powerful, hurt Dean, as he came to understand that the warnings he had been given, including the one from his own father. He would never have been able to kill his brother, but he cannot help but feel that he should have stopped him somehow. Despite his apologies, Dean has found it hard to forgive Sam and has allowed his brother to leave without argument. Dean’s future is as uncertain now as that of the rest of the world.